Most people have heard of posttraumatic stress disorder (PTSD), and often relate its occurrence to soldiers. The truth is, PTSD can affect anyone – victims of car accidents or natural disasters, intimate partner violence, physical/sexual assaults, child abuse, and more. Some people are at increased risk for PTSD. Victim-specific risk factors include, being female, experiencing trauma at a younger age, race (African Americans, First Nations, and Hispanics are at higher risk), those experiencing poverty and low socio-economic status, family dysfunction, less functional coping styles, previous history of trauma exposure, peritraumatic dissociation, and genetic predisposition/epigenetics (for more on the latter see: https://blacksheepcounselling.com/2017/04/behavioural-epigenetics/). Common symptoms of PTSD include depression, anxiety, hypervigilance, panic attacks, grief, suicidality, avoidance, flashbacks, dissociating, substance misuse (and other self-harming behaviours), trust issues, and internalized shame/low self-worth. Newer research has determined that PTSD should be viewed as a “systemic disorder”, rather than a mental health disorder as mind and body are intimately linked in health and disease. PTSD creates extensive psychophysiological and somatic comorbidities ranging from diminished immune systems, headaches, stomach aches, metabolic syndrome, and related cardiovascular conditions, autoimmune diseases (such as rheumatoid arthritis and fibromyalgia), as well as a dysregulated nervous system. In a recent Australian study on veterans with and without PTSD, morbidity was found to be higher in the PTSD group for conditions of the gastrointestinal, hepatic, cardiovascular, and respiratory systems, sleep disorders, and laboratory pathology measures. Former retired vice chief of staff of the U.S Army, General Peter Chiarelli alongside clinicians and veterans’ advocates are lobbying for changing the name of the diagnosis of PTSD to that of “PTSI”: post traumatic stress injury. The belief around this is that post traumatic stress is NOT a disorder, it is an injury, and calling it as such is less stigmatizing, and more accurately describes one’s experience. It also is more hopeful: one can heal from an injury, whereas a disorder tends to incite feelings of weakness and perpetual brokenness. Canada’s military and veteran agencies did change the titles of their clinics to “Operational Stress Injury”, and those seeking treatment increased. This suggests that amongst military populations, there exists increased stigma with the label of PTSD that inhibits victims of post traumatic stress from seeking support. A holistic approach to treatment is really needed. Not only do victims of PTS need to therapeutically process their trauma with a trained therapist, but treatment success will increase with the inclusion of such things as Yoga* (heaps of evidence-based data on this), acupuncture, engaging in mindfulness and physical activities, strong social supports, relaxation techniques, art therapy, prayer/meditation, minimizing the use of stimulants (caffeine/sugar/nicotine), physical touch (even hugging loved ones/petting animals), working with a nutritionist to determine what foods work best for optimal performance, and deriving a sense of meaning and purpose in life. It is possible to experience “post-traumatic growth” – seeking help is the first step. Banich, M. T., & Compton, R. J. (2017). Cogntive neuroscience (4th ed.). Belmont, CA: Wadsworth, Cengage Learning. Briere, J. M., & Scott, C. (2015). Principles of trauma therapy: A guide to symptoms, evaluations, and treatment (2nd ed.). Thousand Oaks, CA: Sage Publications. Brothers, D. (2014). 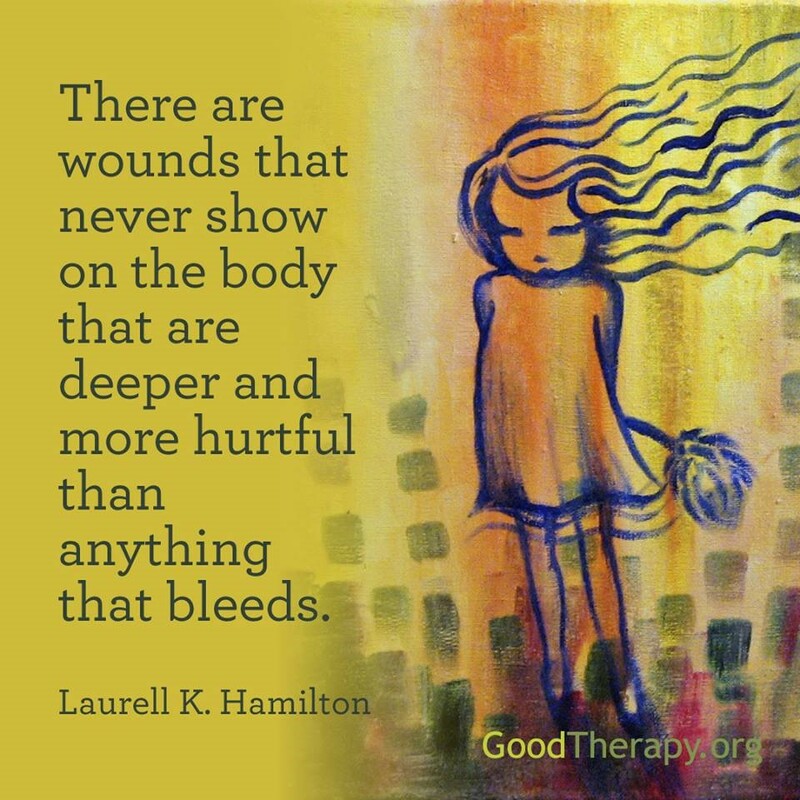 Traumatic attachments: Intergenerational trauma, dissociation, and the analytic relationship. International Journal of Psychoanalytic Self Psychology, 91(1), 3-15. Eagle, G. T., & Kaminer, D. (2015). Traumatic stress: Established knowledge, current debates, and new horizons, South African Journal of Psychology, 45(1), 22-35. Levine, P. A. (2015). Trauma and memory: Brain and body in a search for the living past – A practical guide for understanding and working with traumatic memory. Berkeley, CA: North Atlantic Books. Sadock, B. J., Sadock, V. A., & Ruiz, P. (2007). Kaplan and Sadock’s synopsis of psychiatry: Behavioral Sciences/Clinical Psychiatry (10th ed.). Philadelphia, PA: Lippincott, Williams, and Wilkins. Shore, A. N. (2003). Affect dysregulation and disorders of the self. New York, NY: Norton. Szyf, M. (2013, July 27). Epigenetics of early life adversity: The implications from mental health. Brain Development & Learning Conference. UBC Interprofessional Education. van der Kolk, B. (2014). The body keeps the score: Brain, mind, and body in the healing of trauma. New York, NY: Penguin Books. van der Kolk, B., Stone, L., West, J., Rhodes, A., Emerson, D., Suvak, M., & Spinazzola, J. (2014). Yoga as an adjunctive treatment for posttraumatic stress disorder: A randomized controlled trial. The Journal of Psychiatry, 75, 559-565. Viado, A. I., Dyuzhikoya, N. A., Shirvaeva, N. V., Sokolova, N. E., Vshivteseva, V. V., & Sawenko, Y. N. (2009). Systemic control of the molecular, cell, and epigenetic mechanisms of long-lasting consequences of stress. Russian Journal of Genetics, 45(3), 298-303. Williams, L. M., & Banyard, V. L. (1999). Trauma & Memory. Thousand Oaks, CA: Sage Publications.